The Wedding Wishing Well Foundation would like to wish all of our amazing supporters, fundraisers and suppliers a very Happy New Year. We hope that 2014 brings lots of love, laughter, and happiness; here’s to making it the best year yet! While you raise a glass at midnight, please consider our foundation in your New Year’s Resolutions. Maybe you would like to give more to charity, try your hand at fundraising, or would like your company to support a charity in the coming year. Whatever your motivations, please consider the Wedding Wishing Well Foundation; we desperately need your help, so that we can continue to organise weddings for amazing couples affected by terminal illness. Walk off those mince pies with The Wedding Wishing Well Foundation; our very first Pedometer Challenge, the Walk 4 Wife, begins tomorrow! It’s not too late to join us, either – you just need a team of at least two people and a pedometer. Simple! Pedometers can be picked up reasonably cheaply from many retail outlets, or even downloaded directly onto your mobile or smartphone. Each team will be expected to work together to cover a certain number of steps/miles, with a whole month to complete the challenge. The total team distance will be divided between the number of people within the team, making the challenge fair for everyone; there will be prizes for the highest team average and the best individual distance covered. Please visit our Facebook Page to sign up – you will be sent a starter pack directly. You don’t have to be super fit to take part in this challenge, but it will certainly help to get rid of those extra turkey pounds! Join in, have fun, and help out a fantastic cause! If you know someone who is taking part in the Walk 4 Wife, why not show your support and donate to the Wedding Wishing Well Foundation today? Your donations can help the Wedding Wishing Well Foundation to support some truly amazing couples. A very Merry Christmas, and a huge thank you to our supporters and followers. We hope you have a wonderful Christmas, surrounded by those you love the most. There are only three sleeps until Christmas, but it’s not too late for you to give one extra present – and you won’t even need to fight through crowds of shoppers to buy it. The Wedding Wishing Well Foundation desperately needs your funds. We receive countless applications from deserving couples every week; it would be amazing to be able to help them all, but our resources just can’t stretch that far. With your help, we can make 2014 the best year yet. Just £10 will cover the cost of a wedding cake; something so many of us will have taken for granted at our own wedding day. £200 will provide flowers, helping to brighten the couple’s special day, while £100 will cover the costs of that all-important wedding dress. No amount is too small (or large! ), and you can be safe in the knowledge that every penny you give will help a couple in need. We have two weddings coming up over the next few weeks, the first of which is on January 10th 2014; your donation could help with those finishing touches that will make the couple’s day unforgettable. REMEMBER; Johnsons the Cleaners are still accepting donations of wedding gowns, bridesmaids’ dresses, suits, shoes, jewellery and accessories on TWWWF’s behalf. Please donate your “something old” to your nearest branch and help the dream of a perfect wedding day to come true. The Wedding Ideas Awards 2014 Bride of the Year: Could it be you? While the voting has closed for this year’s Wedding Ideas Awards supplier categories, there is one special category that remains open to nominations; the 2014 Bride of the Year. Do you know an inspirational bride? It may be your wife, mother, sister, friend, or a very special bride you met while working as their wedding supplier. Have you overcome seemingly unbeatable odds in order to get married? The award is open to anyone, with all nominations welcome; you can even nominate yourself. 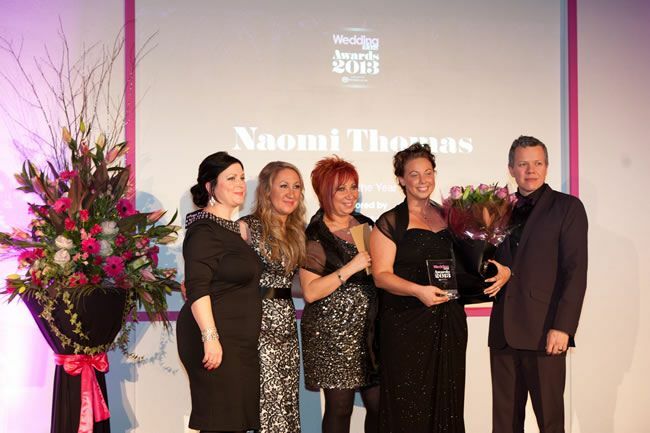 Our own Naomi Thomas is no stranger to the Bride of the Year Award, having been awarded the 2013 title. Naomi married her soulmate, Graham, and became Mrs. Thomas in June 2012, despite receiving a diagnosis of secondary breast cancer just two years beforehand. Their special day was made possible thanks to the generosity of an amazing wedding planner and local suppliers, who gave their services for free to ensure that the couple had the wedding of their dreams. Inspired by their efforts, Naomi founded the Wedding Wishing Well Foundation with the aim of helping couples similarly affected by terminal and life-limiting illness to experience the joy of a wedding day. Receiving the award for Bride of the Year helped to transform the Wedding Wishing Well into an industry-famous organisation. The closing date for nominations is midnight on the 24th December 2013. A winner will be announced during the Wedding Ideas Awards Ceremony at the Tower Hotel in London on the 10th January 2014. For further details, and to nominate your 2014 Bride of the Year, please click here. Christmas is a fantastic time for reflection, and for celebrating the things we have achieved throughout the year. The Wedding Wishing Well Foundation has experienced a remarkable 2013, filled with laughter, tears, tremendous pride, and – most importantly – some truly magical wedding days. Watching a special couple say, “I do” is the reason we exist; their happiness is our inspiration, and the very centre of our operation. While fundraising is absolutely key to our foundation, we simply wouldn’t be able to organise these amazing weddings without the dedication, generosity, and downright brilliance of our suppliers. Whatever your talent or speciality, you have approached the foundation in your droves to offer support, a helping hand, and your expertise – for that, we can’t say thank you enough. Each and every one of our suppliers is a shining star, an inspiration in their field. Thank you for being a part of something amazing; for helping The Wedding Wishing Well Foundation to flourish. A very Merry Christmas to you, and a prosperous New Year – we look forward to working with you in the year ahead. To all wedding suppliers: Can you help? As a New Year dawns, we need the help of our suppliers – new and old – more than ever. We are hoping to make 2014 our best year yet, filled with abundant happy memories, love, laughter, and even more fantastic weddings. We receive hundreds of applications from deserving couples, each of them affected by terminal and life-limiting illnesses; it would be amazing to think that, in 2014, we can help to organise and fund their nuptials. Whatever your talent or service – floristry, wedding invitations, dressmaking, venue decorating, chauffeuring, wedding planning, or more – we need to hear from YOU. It doesn’t matter how small or large your contribution; with your help, we can help more couples to marry and enjoy the special day they deserve. If you would like to be added to our supplier database, please email us on info@weddingwishingwell.org.uk. Be sure to include details of your company, as well as your website and contact details. Hosted at the stunning Deer Park Country House Hotel in Honiton, Devon, the Winter Wonderland Wedding Fair is the epitome of winter splendor, offering inspiration on everything from wedding dresses, to stationery; whatever your winter wedding needs to shine. This superb winter wedding fair will be taking place from 2-5pm. Entry is free, and there will be a goody bag for all brides. Keep an eye out for The Wedding Wishing Well Foundation; we’ll be exhibiting all afternoon! 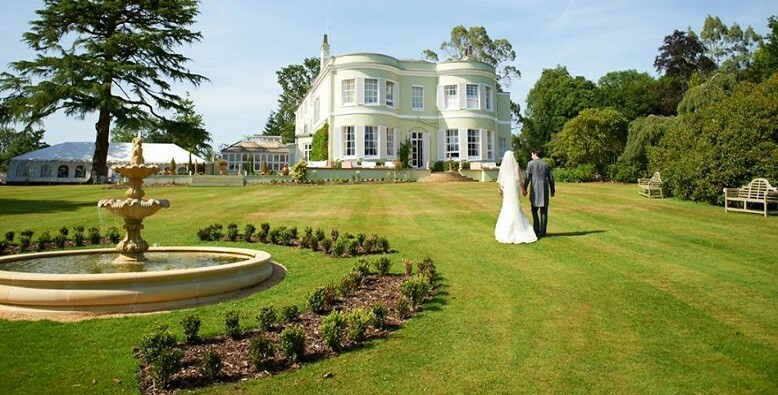 Sunday, 5th January 2014 – The Guild of Professional Wedding Services at Old Down Manor, Tockington, Bristol. Organised by The Guild of Professional Wedding Services, this annual wedding fayre is being hosted at the striking Old Down Manor, which is Tockington, Bristol. The fayre will be running from 11am-3pm, with all proceeds being donated to our very own Wedding Wishing Well Foundation. The fayre will feature a host of local suppliers, and a charity draw, in which 25 lucky winners will receive a whole heap of discount vouchers. Also in attendance will be the Foundation’s Naomi Thomas, who will take to the stage to tell her story; don’t miss this fabulous event. Bride: The Wedding Fayre is being held at the beautiful Manor House Hotel in Chippenham, Wiltshire, and boasts a whole host of fantastic suppliers, heaps of inspiration for your wedding, and a goody bag for all brides, as well as some fantastic live entertainment. The fair will be running from 11am-4pm. A small entry fee will be donated to The Wedding Wishing Well Foundation.